You heard me right… we have counters, which means we have a sink, which means we have use of a kitchen. YES! When the process of the kitchen remodel began, I was dead set on using granite for the counter material. I’ve always steered my clients towards granite. believed it was the best choice because of the vast selection, durability, and its uniqueness. No one anywhere will have the exact same piece. 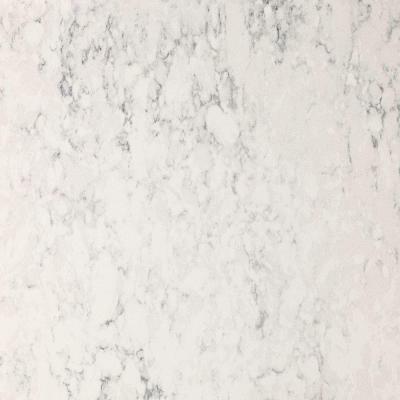 When the time came to choose a material for my kitchen remodel, I wanted something light and minimal, like the gorgeous + drool-worthy look of marble. 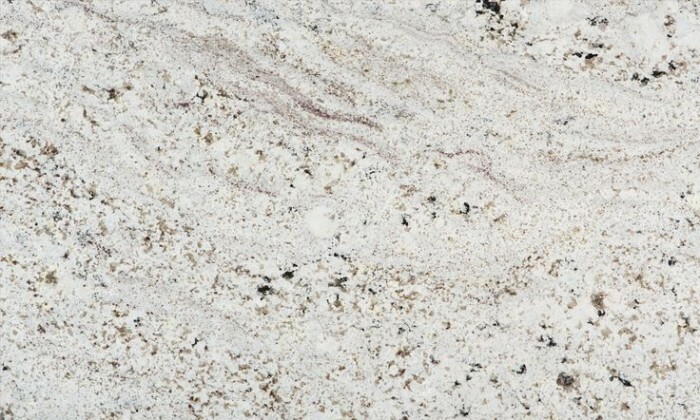 And I say the look of marble, because it’s a material I wanted to steer clear of because it is too porous and will easily stain from acidic spills like orange juice, tomato sauce, and red wine. As a family of 5 with young kids, I can’t be watching + micro-managing our kitchen like a hawk every minute. With marble crossed off my list, I started my search out with lighter toned granites. 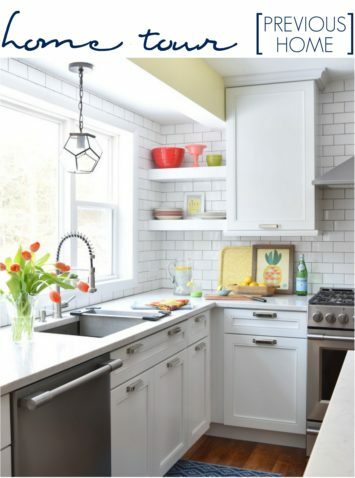 I found 2 I loved – Bianco Gabrielle and Bianco Romano – at Lowe’s, but I felt they had too much movement for the overall minimal, clean look I was trying to achieve. 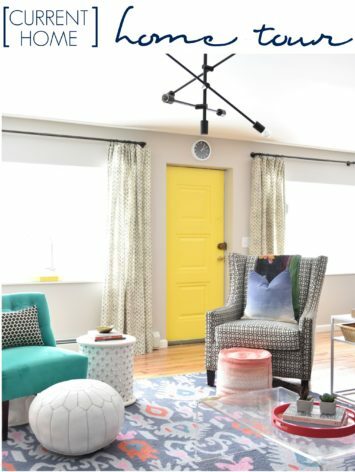 Then my eye honed in on just what I wanted aesthetically + functionally! 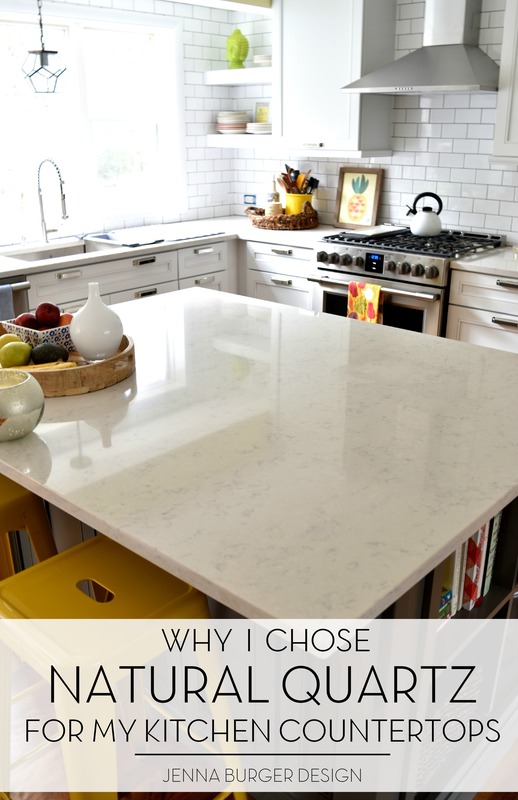 After giving myself a day to think it over, I knew that choosing quartz was the right + best choice for our kitchen. 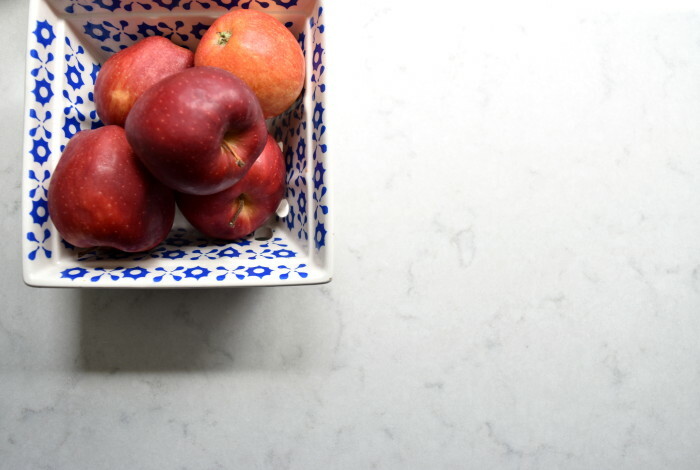 The design options for natural quartz has grown tremendously over the past years and with it being a natural material (a must on my checklist), incredibly durable, and maintenance-free, it truly was the perfect material. 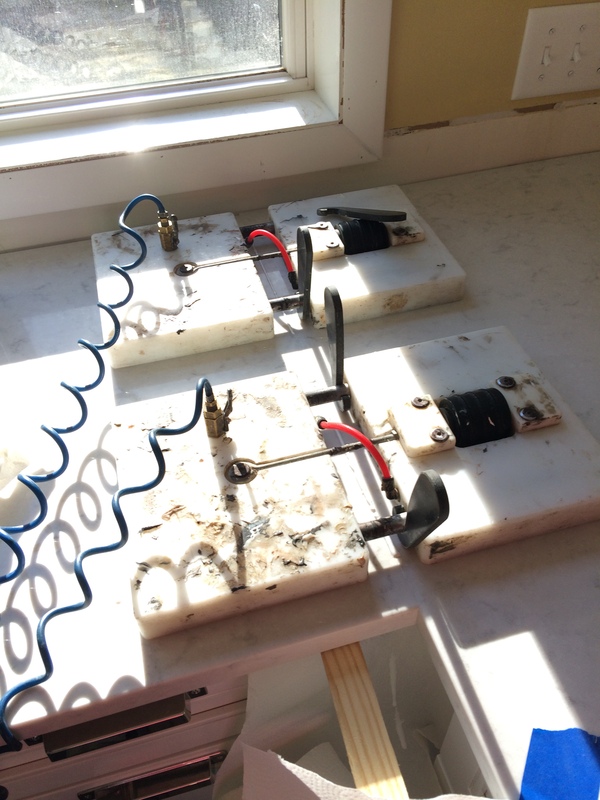 > Cleanup can be done with water + mild soap. 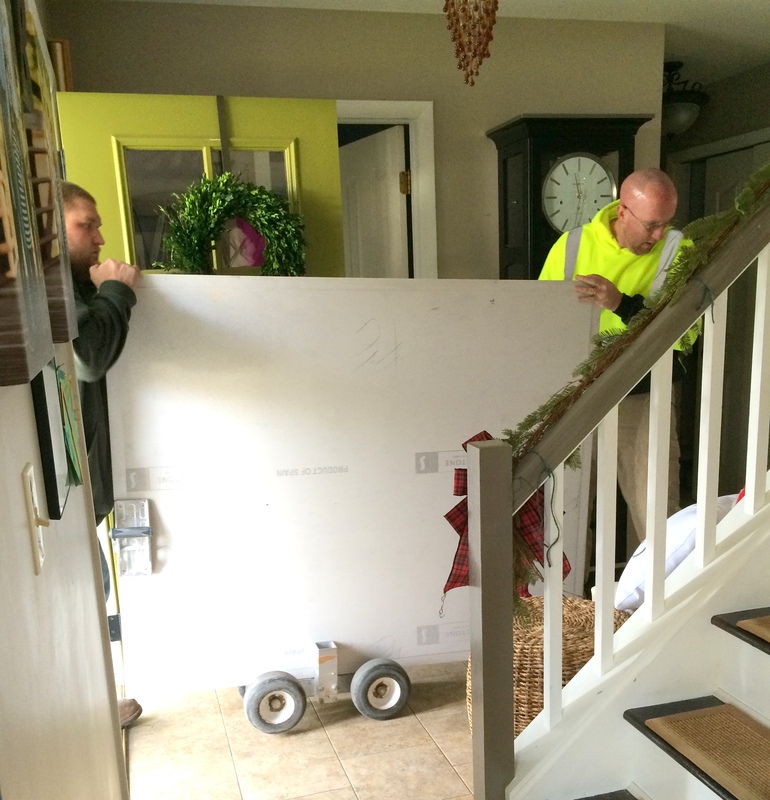 Once my cabinets were in place and I finalized my order for Silestone Lagoon quartz, a templater came to my home to take all the needed measurements for the new counters. …the day had finally arrived for install. I was floating on cloud 9 with excitement. It was estimated for the counters to take 2-4 weeks for fabrication, but it took just about 2 weeks from templating to installation (with Thanksgiving in between). The independent contractor that does the fabrication + installation through Lowe’s was incredible. They were timely, courteous, and did a great job. I was 100% satisfied! eek – watch my wreath. they did. 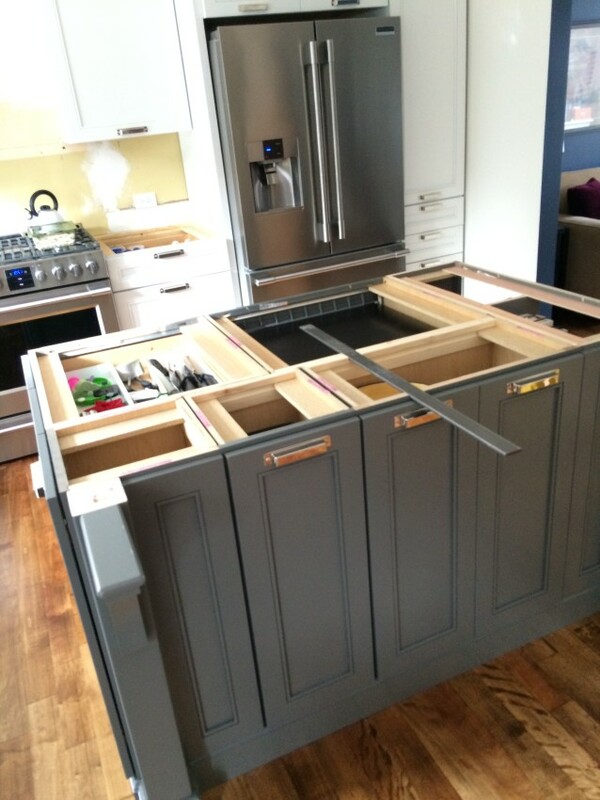 Because of the countertop overhang on the island, a steel plate was installed to give extra support. 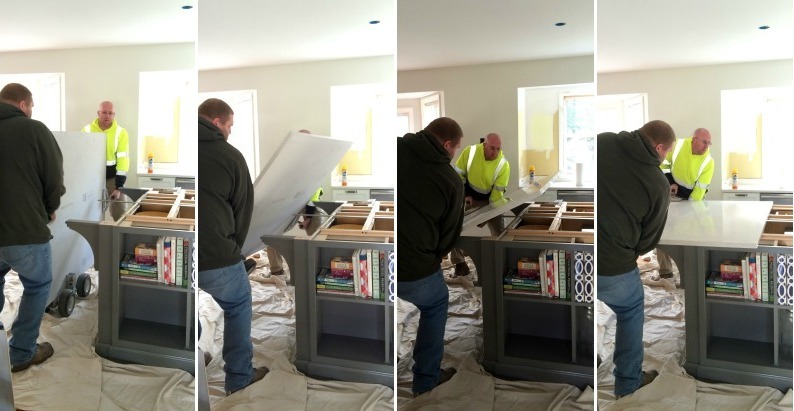 And then they laid the tops in place on the island and on the perimeter cabinets. There was one area on the perimeter cabinets that needed a seam. The process for connecting the seam was very interesting. They used this neat gadget to level + tighten the joint to make a perfectly, unrecognizable seam. 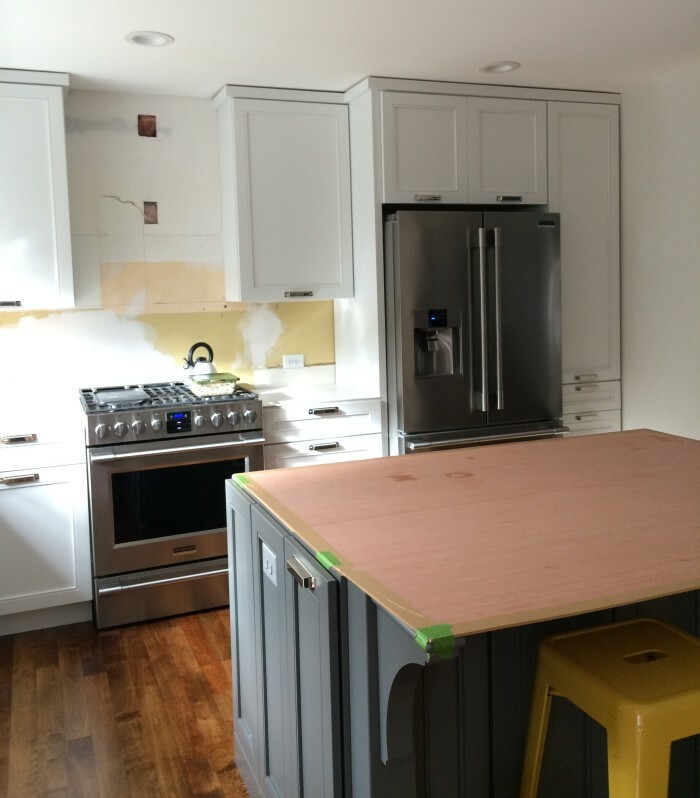 And here’s a peek at the kitchen and how it’s progressing… It’s almost done. 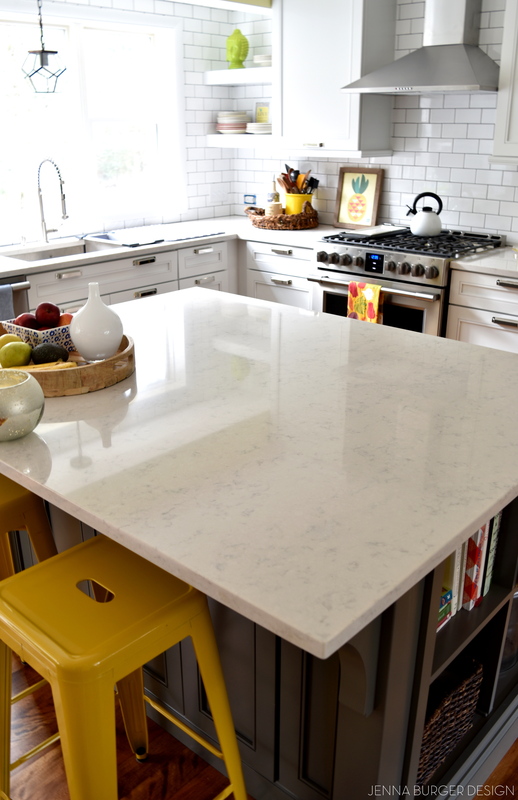 There are many other materials to consider for the kitchen, but our top choice was Natural Quartz! Want to learn about other countertop materials for the kitchen? 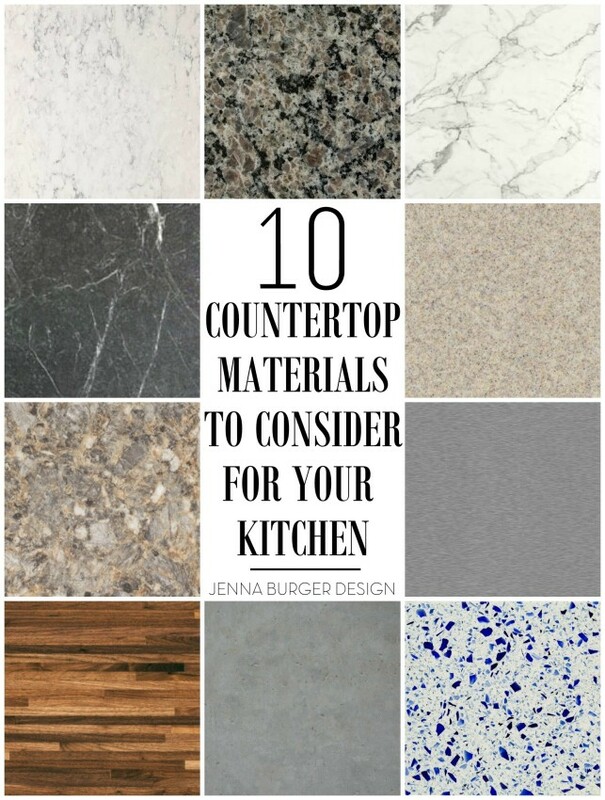 Check out this post with a breakdown of 10 countertop materials to consider for the kitchen + the pros & con for each. 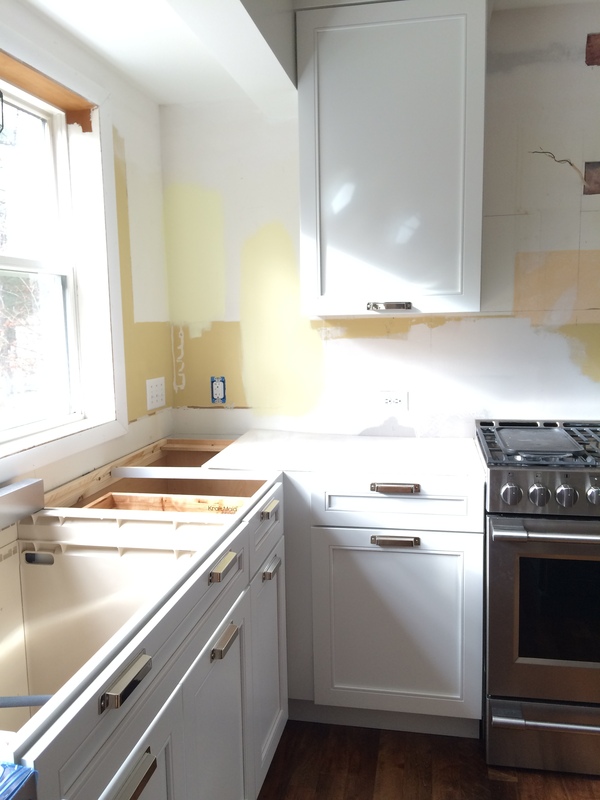 DISCLAIMER: THIS KITCHEN RENOVATION IS A COLLABORATION WITH LOWE’S USING KRAFTMAID CABINETRY. 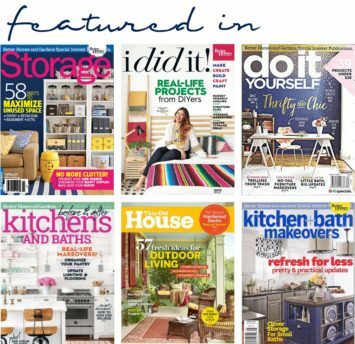 ALL OPINIONS + SELECTIONS ARE MY OWN WITH THE ASSISTANCE OF KRAFTMAID AND THE LOWE’S DESIGN TEAM. 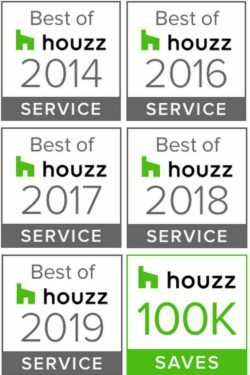 Hi Jenna – I love the look of quartz and the nothing to maintain makes it a win/win :-) I am interested in learning more about the stove you chose. Is it gas or electric? Thanks so much Diane! The stove is gas and it’s from frigidaire. It’s stainless and the surface is actually smudge-proof which has been fabulous with the kids. I’m really loving the professional / commercial-style look! Had laminate and tile in my first homes in the 80’s/90’s. Hate my current home when I was talked into getting granite. Hate, hate, hate the upkeep of granite. If you have hard water, like I do, keeping the granite looking good has been difficult. 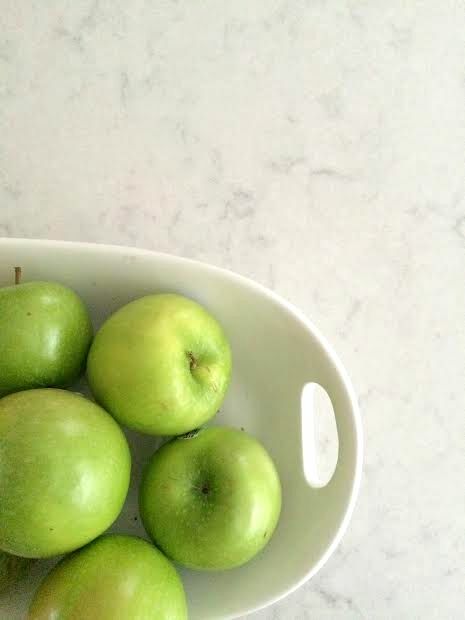 My favorite countertop and farmhouse sink were made out of Corian (Hi-Macs brand). It was so easy to care for. I liked the idea if some type of damage happened, it could be repaired. Even my farmhouse sink was made from this materials, so it could be required, if needed, for years to come.